Working by moonlight was a typical scene along the Mississippi River during the mid 1800's. The Caruthersville Landing is located in Southeast Missouri and one of its prime exports of the time was cypress lumber. Because of its superior moisture and insect resistance, cypress lumber was often used for boat building. This type of wood was also a source of framework for homes and buildings of this era. Many of the large mansions built along the Mississippi and Missouri Rivers were framed with lumber milled in this area. 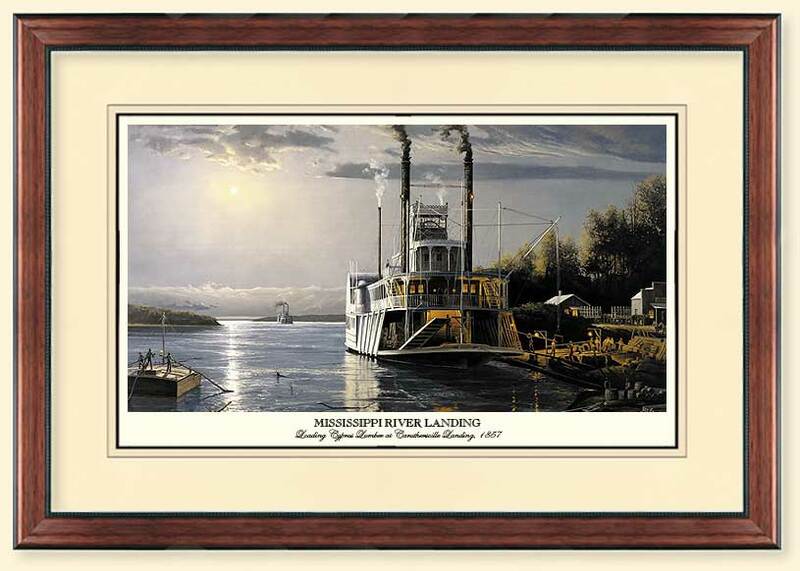 "Mississippi River Landing" illustrates two different types of river transportation. The flatboat and the steamboat. The former was a "one way" boat, downstream only. The latter, of course, was the dominant form of transportation of that period. 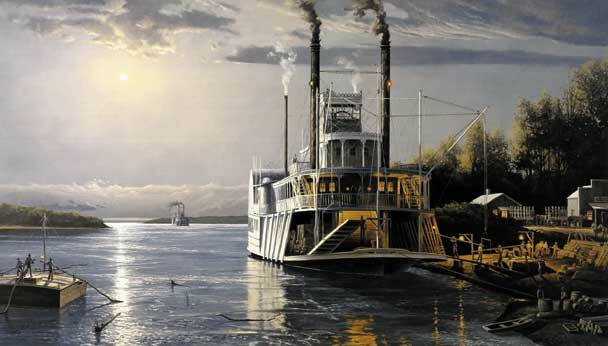 Here we see a moonlit night on the Mississippi River; and, a depiction of life on the riverfront.